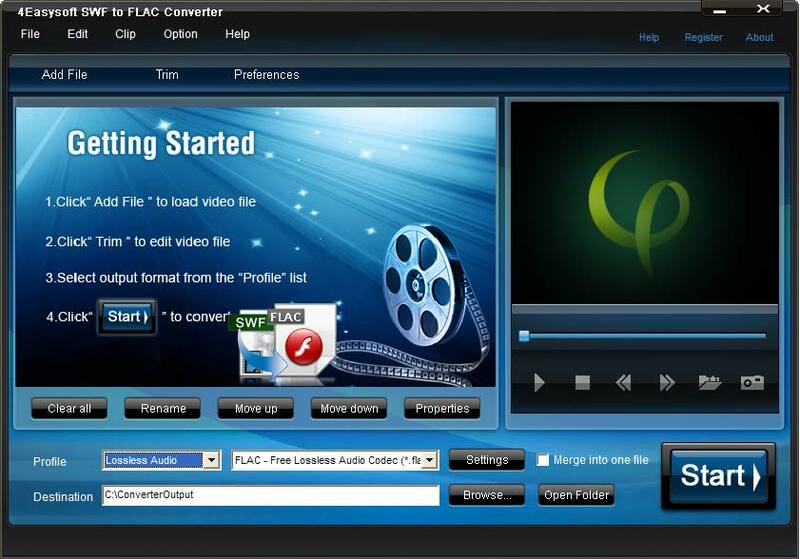 More settings are provided by 4Easysoft SWF to FLAC Converter to customize your audio file, you can convert any part of your SWF file, select audio track and subtitle, adjust audio parameters, like Audio Encoder, Sample Rate, Channel, Audio Bitrate and more. Free download 4Easysoft SWF to FLAC Converter to have a try. Having the user-friendly and smartly organized interface, 4Easysoft SWF to FLAC Converter brings you more convenience and enjoyment.